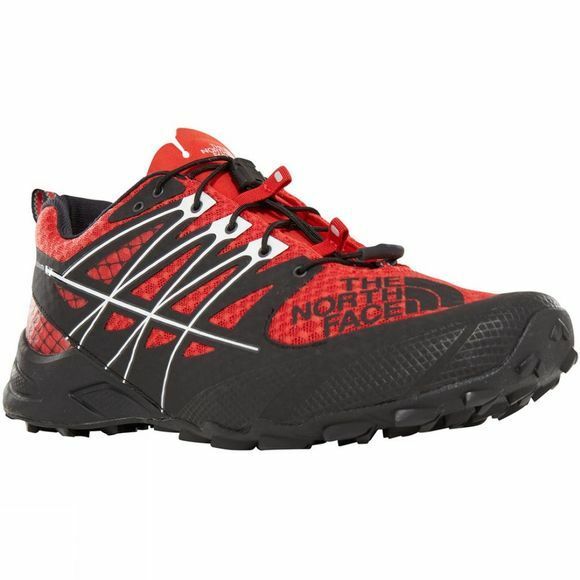 Hit the hardest trails in the Mens Ultra Mt II Shoe from The North Face, the ultimate trail-running shoe. 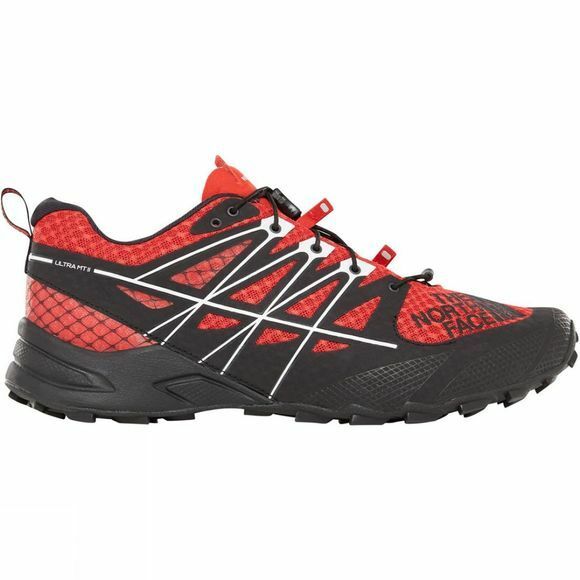 With its advanced stabilisation system and exclusive Vibram Megagrip outsole, this shoe delivers unrivalled support and traction even on the toughest terrain. ESS Snake Plate technology ensures better energy return and protects your feet from stone bruising. A FlashDry collar lining wicks away moisture as you work up a sweat, keeping your feet dry and blisters at bay right to the end of the trail.